Whether you’re a social influencer, travel blogger or someone who loves to photograph unique places, we’ve got a spot that’s sure to light up your social feed. 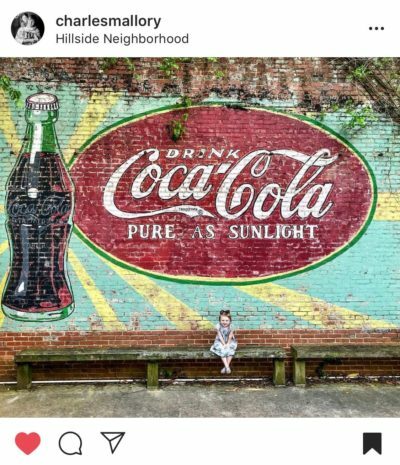 Here are eight Instagram-worthy spots in LaGrange, Georgia! Callaway Memorial Tower is located in a historic mill village of LaGrange. It was built in 1929 as a tribute to textile magnate Fuller E. Callaway and is patterned after the Campanile of St. Mark’s Square in Venice, Italy. 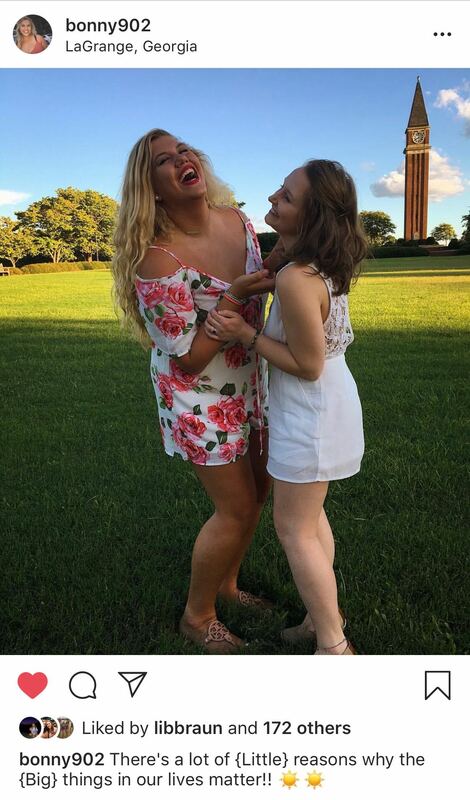 Its large green lawn is the perfect place for a picnic and a picture. Sweetland Amphitheatre has hosted numerous top artists like Gladys Knight, the B52s, and Willie Nelson. You can visit the pavilion year-round which sits where the original community park once lived as a “summer hangout.” During the concert season, warm nights at Sweetland are sublime with great music and breathtaking views. The sun sets on stage right which makes for stunning photos with a painted sky. Oh and did we mention this place turns into an ice skating rink during the winter? It’s a picture hot spot all year round! This hidden delight has become an iconic picture destination in the Hillside neighborhood of LaGrange. Wilbon T. Spier, nicknamed “Doc,” once ran a grocery store and sandwich shop at this location. This now open-air building is covered in beautiful vines and flowers. 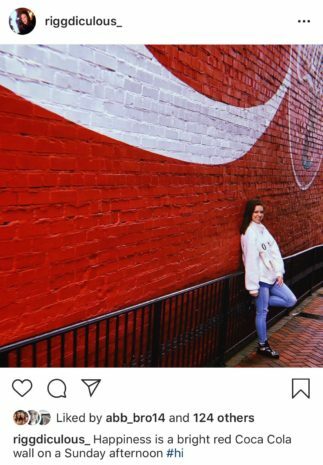 The brick wall on the right side of the shop displays the original hand-painted Coca-Cola mural which makes for a bright and colorful backdrop. 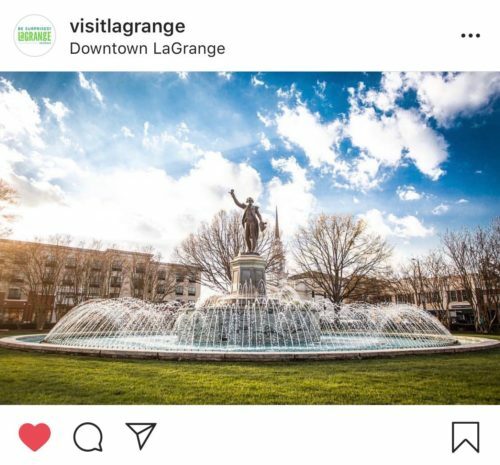 The heart of LaGrange, its downtown area, is the location of the statue of Marquis de Lafayette, a French patriot and American Revolutionary hero. The statue, perfectly situated atop a fountain, is beautifully landscaped with trees and flowers that surround the monument in a circular fashion. At night, the trees glisten with stringed lights creating a warm and mystic ambiance. Since 1920 Charlie Joseph’s has been serving up world famous hot dogs and is known for its large collection of Coca-Cola memorabilia. Its walls are lined with items that cause one to feel nostalgic for the days when a bottle of Coke was just a quarter. The outside wall of this beloved restaurant is covered with a Coca-Cola mural. Both the inside and the outside of this legendary joint make for colorful gram-worthy photos. West Point Lake hugs the west side of LaGrange, Georgia and is where you’ll find some of the most stunning views in the area. From sunrise to sunset, and everything in between, there is natural beauty everywhere. 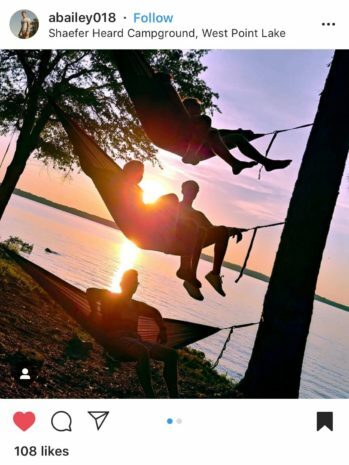 One of the most popular lake spots is Shaefer Heard Park. The wooded areas throughout the park are filled with walking and biking trails and the trees are wonderful for hammock lovers. 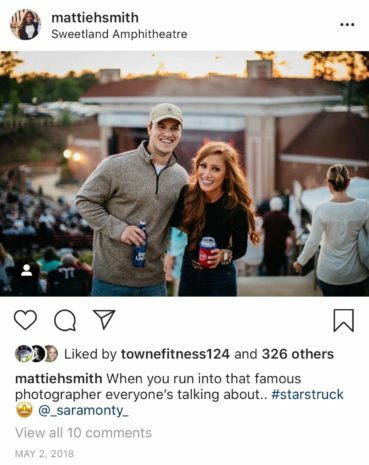 You can also see West Point Dam and Powerhouse as well as the Chattahoochee River while at this picture-perfect Instagram worthy spot. Located just behind the Center for Creative Learning in downtown LaGrange, this spot is truly a hidden treasure. 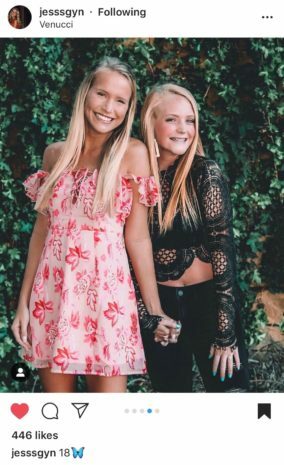 Stone and brick walls are covered in vines creating a lovely backdrop. Just a few steps away from this secret hideaway is the vine porch behind LaGrange Art Museum. Built in 1892 originally as the Troup County jail, this Victorian jewel is a hub of art activity. The vine porch leads to one of the original entry points of the jail and is covered in beautiful hanging vines. Every inch of Hills & Dales Estate is picture-worthy. From the ornate walls and furniture inside the home to the acres of exquisite gardens, you’ll find stunning scenes to fill your camera lens everywhere. One of the most popular spots to take pictures at Hills & Dales is the Portico which is attached to the east side of the Estate. 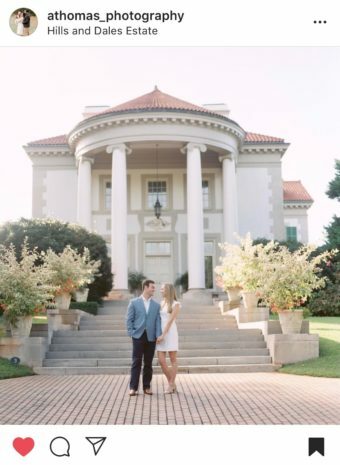 Its large columns and layered steps make for an elaborate entryway to the historic home and striking backdrop for pictures! Honorable Mention: Lock Gate at Beacon Brewing Co. In the Hillside neighborhood of LaGrange, local brewpub Beacon Brewing Co. features a lock fence surrounding the brewery. 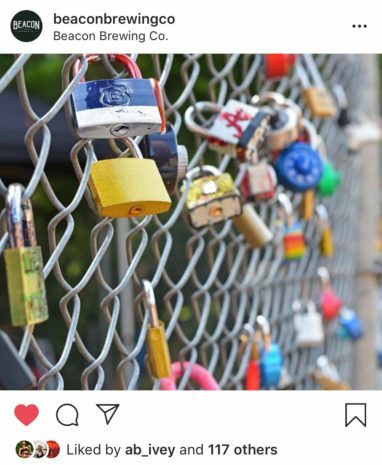 This fence is modeled after the many love lock bridges in Europe where sweethearts attach locks with their initials and throw away the key. While the number of locks don’t quite rival Paris just yet, restaurant patrons are always encouraged to add to the collection.